Hi, i'm started in phalcon and a i need help to create a view. For start the project a used "phalcon project teste". 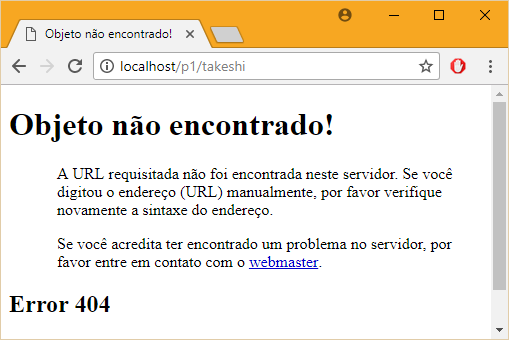 Create a controller a used "phalcon controller takeshi"
But access to url "http://localhost/p1/takeshi", dont work. Access url "http://localhost/p1/" its work a index page from project. phalcon model takeshi creates a model, not a controller. You have to create actions on controllers, not models. I create a controller using "phalcon controller takeshi" and create action in controller. I wrote wrong, my bad. 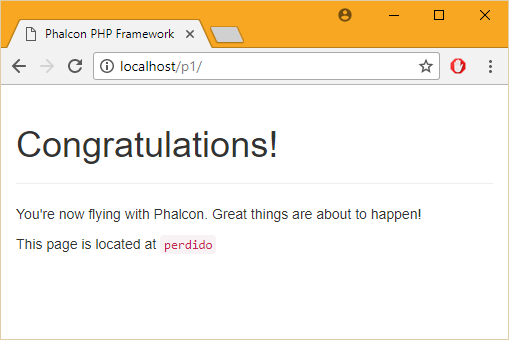 Did you create your new p1 app with the phalcon devTools ? That's not really helpfull, try to be more explicit. eg, did you get any error message in webserver log ? The error is 404 - Not Found. I'm used phalcon for Windows 10 for dll. I'm not used with Windows 10, but I'm pretty sure that you can access elsewhere on these webserver error logs. It is really helpfull while coding in php.